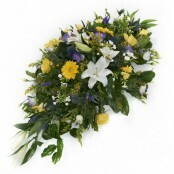 Send flowers in Merthyr Tydfil by Gwillim Florists. 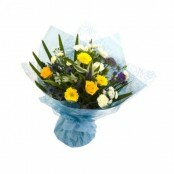 Same day delivery in Merthyr Tydfil by Gwillim Florists. Fresh flowers available daily. Call us or order online. Want to make your gift extra special? Why not add balloons or chocolates? Be sure to add your special message when ordering.We deliver six days aweek to Merthyr Tydfil and surrounding areas. Red roses for Valentines flowers, birthday gift, a get well arrangement to name just a few of our offerings. If you don't see what you want on our webpage call us on 01685871952 and we can advise on availability. We currently have a special promotion if you purchase from us by March 15th you can be entered in our rugby raffle to have a chance of winning two tickets for Wales 6 nations home games, Scotland, Italy or France. Below is a selection of flowers that can be delivered the same day in Merthyr Tydfil if ordered by 2.00pm (depending on stock levels). We can also deliver flowers the same day in the following areas Aberdare, Hirwaun delivery, CF44, Maerdy, Mountain Ash, Pant Farm is an area of Cwmbach Aberdare, Penywaun, Cwmdare, Llwydcoed and many more. 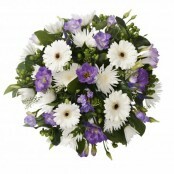 Please call us on 01685 871952 to see if we can deliver flowers in your area. Beautiful flowers are perfect for any occasion and on each occasion we aim to create the perfect gift, same day delivery often available.